I have a ton of watches that I rarely wear. Why? Well, about half of them are heavy (metal) and too loose, so they bang against everything all day long. So I just wind up taking them off halfway through the day. And others are too delicate for everyday wear, so they only come out on special occasions. Plus, thanks to my iPhone (which can always be found in the palm of my hand), I’ve gotten so used to not wearing a watch. I mean, I can just check the time as I’m scrolling through my Instagram/Twitter/Facebook feeds, right?! Well, I’ve recently become a watch wearer again! And that is thanks to JordWatch. The fine folks at woodwatches.com sent over a timepiece for me to review and I absolutely love it. Now, instead of just reaching for my iPhone, I reach for my watch before heading out, too! 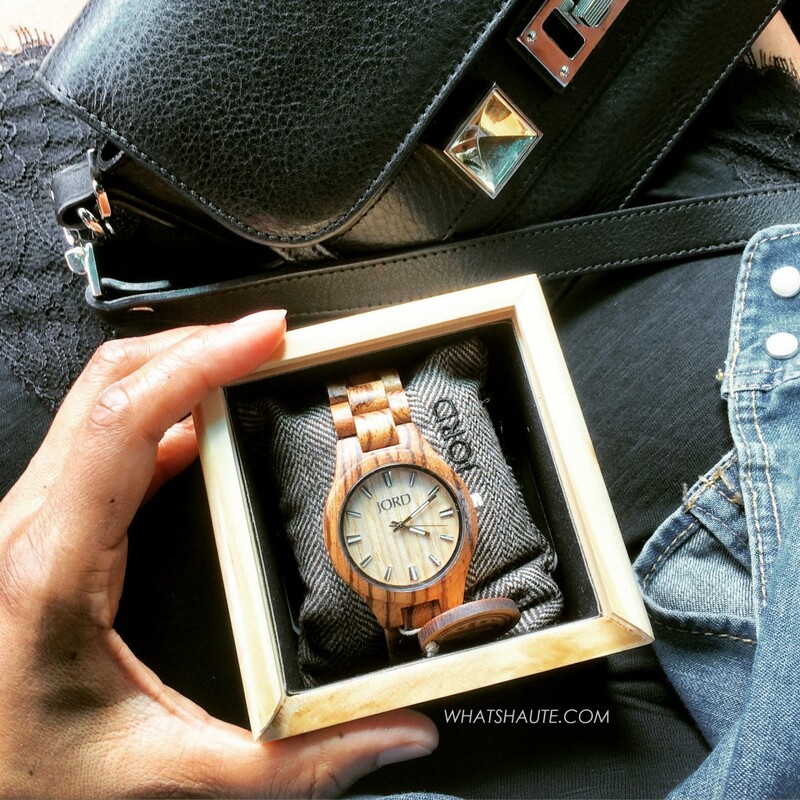 JORDWatch started out making men’s and unisex designs but they’ve recently launched a women’s collection too. When I first checked out the company’s website, I immediately fell in love with all of the watches – it was hard to choose just one! 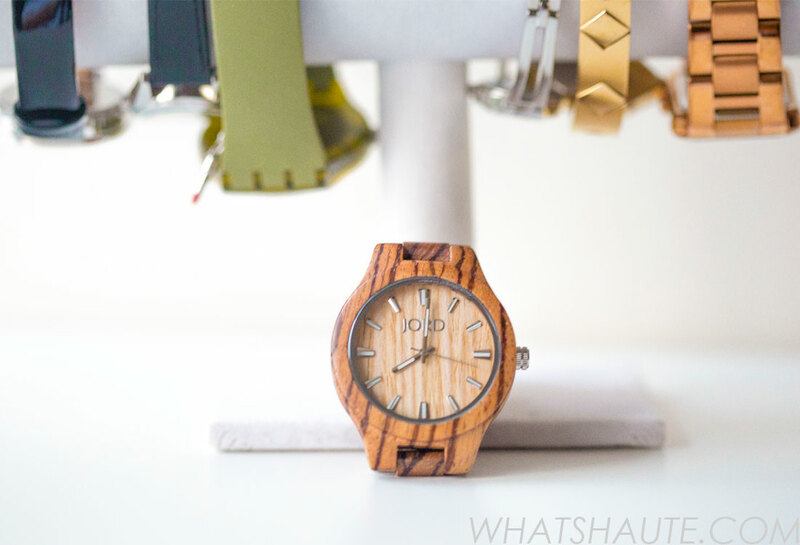 Each watch is made of real wood from sustainable materials from all around the world. They’re all beautifully crafted and even though they’re all made of wood, each features a unique design. Jord has a group of the more casual, all-wood watches featuring a wood band and face, like the Fieldcrest and the Ely series watches. Then there are a group of more luxurious watches, featuring beautiful faces in rose gold and lavender colors, and embellished with Swarovski crystals, like the Cora and Sidney series watches. I love the all-wood watches for everyday wear, and I also love the mix of wood and crystals for a unique, casual/glammed-up look. 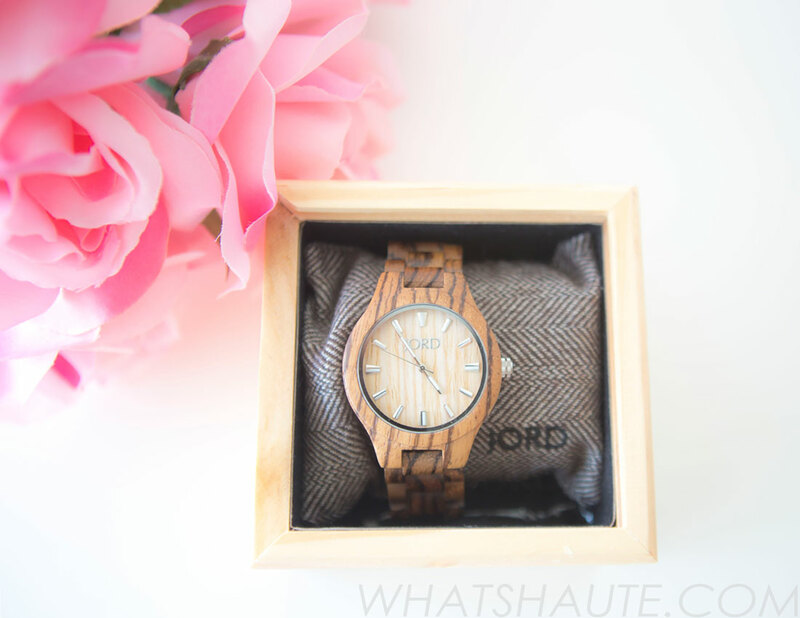 I received the Fieldcrest watch in Zebrawood & Maple. Before sending it out, JORDWatch customized and sized the band to fit my wrist perfectly. The Fieldcrest Series watch comes in a classic watch size and features a monochromatic wood face, bezel, and strap, which all showcase the beautiful wood grain. Designed to be splash proof but not intended for complete submergence in water. 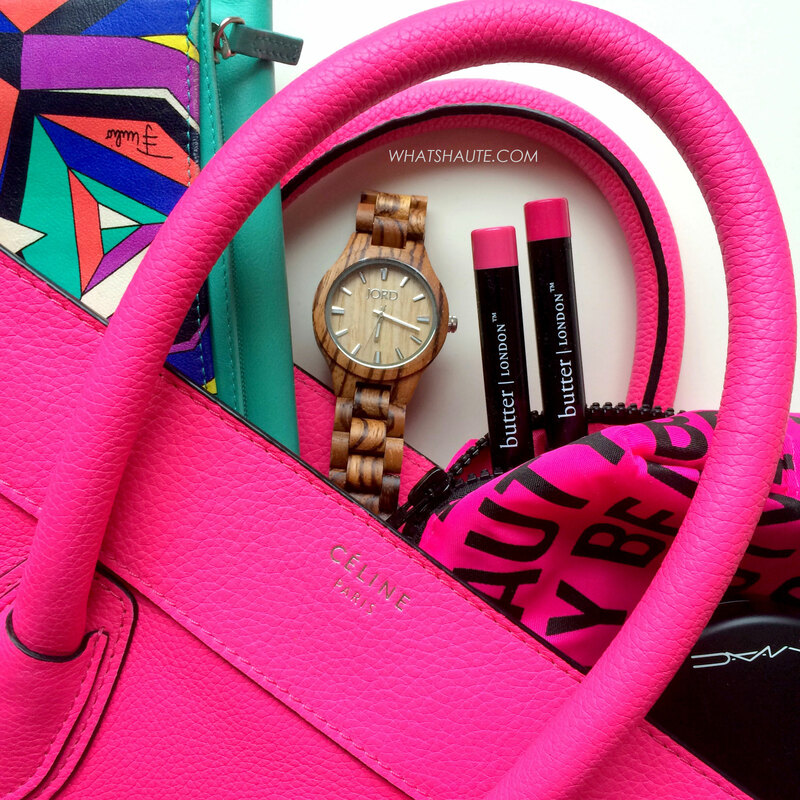 The watch fits me perfectly and is super lightweight, so I often forget that I’m even wearing a watch! 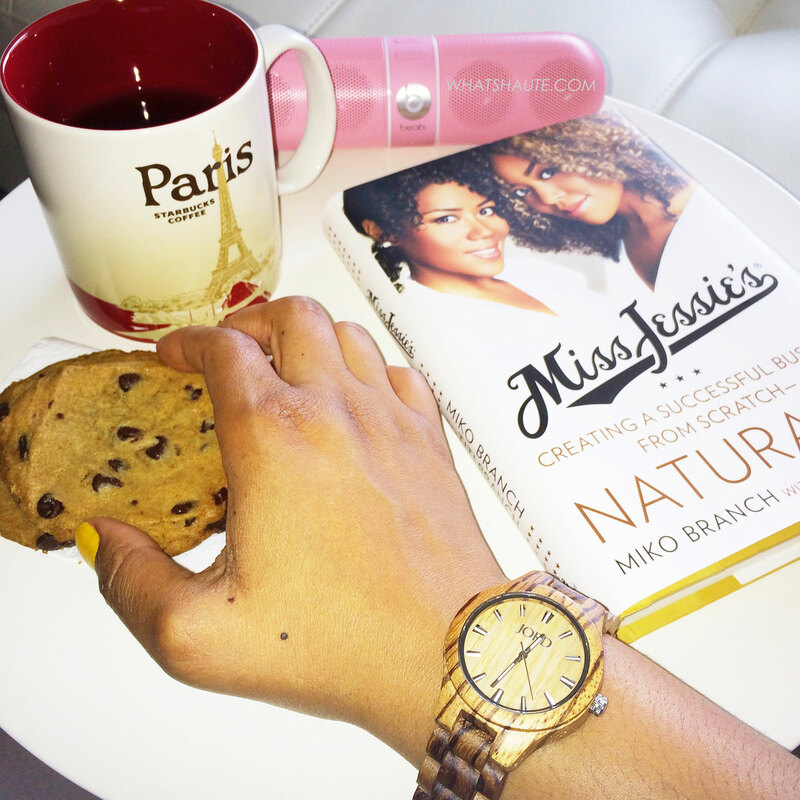 I’ve been wearing it everywhere – even while relaxing at home! I love that the wood is neutral so it works with any outfit I’m wearing. Since receiving it, I’ve been rockin’ this watch on a daily basis. I never want to take it off! And I’ve received so many compliments on it. Every time I wear it someone asks “-Where did you get that watch? !” and my response, of course is “WoodWatches.com!” Check it our for yourself and let me know which watch is your favorite!